Now celebrating our 50th Anniversary in 2018 we are a group of like-minded people that love and celebrate the thoroughbred, meeting once a month. The aim of the club is to do everything possible to popularize our great sport of thoroughbred racing for the benefit of all those interested in the industry. The Thoroughbred Club of Australia meets every month and invites guests speakers drawn from the industry. 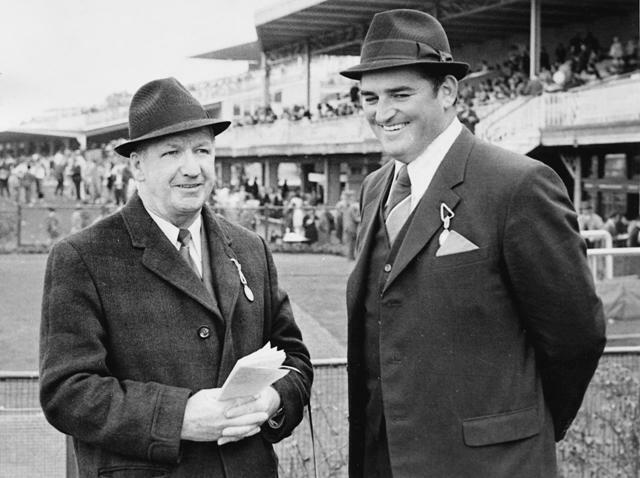 The Thoroughbred Club of Australia was formed in 1968 by Henry Harrison, pictured right. To promote, foster and encourage closer co-operation and better business relations in the thoroughbred horse industry; to provide a forum for the discussion and interchange of ideas relating to the raising, breeding, racing and marketing of thoroughbred horses and to encourage public interest therein; to gather and disseminate such knowledge and information pertaining to the breeding, raising and racing of thoroughbred horses of interests and value to persons having a common interest therein; and in general to endeavour in every proper and lawful way to promote better business conditions in said industry.